Soultone Cymbals offer a superior sound, feel and performance with excellent artist support for today’s most demanding performers. 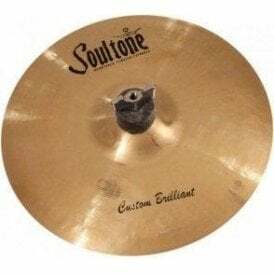 No matter what style or sound is desired by the performer, Soultone delivers both traditional and modern sounds with less effort, more control, and, of course, beautiful, musical, rich tone. Commonly known by drummers as 'Soultone', the handmade cymbal brand manufacturer originated and is still based in Los Angeles, California. It was founded in 2003 by Iki Levy after struggling to address frustrations with the major cymbal manufacturers over quality issues. 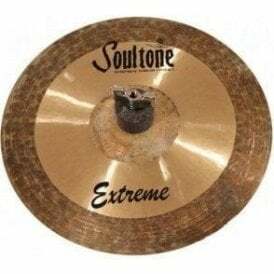 The result is a stunning series of Soultone cymbals ranging from the Custom Brilliant, the Gospel, the full bodied, trashy FXO cymbal through to the Soultone Vintage Old School cymbal. 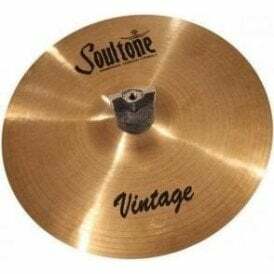 The touch and feel of a Soultone cymbal is unique and has a more responsive bounce to the stick allowing for improved precision without washing out the dynamics of the performance. 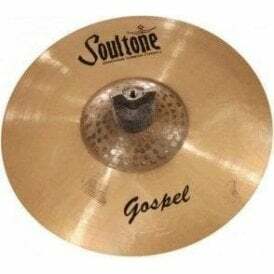 Buy Soultone cymbals online at Footesmusic, browse the full range of cymbals and get Free UK Delivery on orders over £75.